An SLR for the 110 format! Minolta also had a very nice model, of which my father owns an example, but the Pentax was the only one with interchangeable lenses. 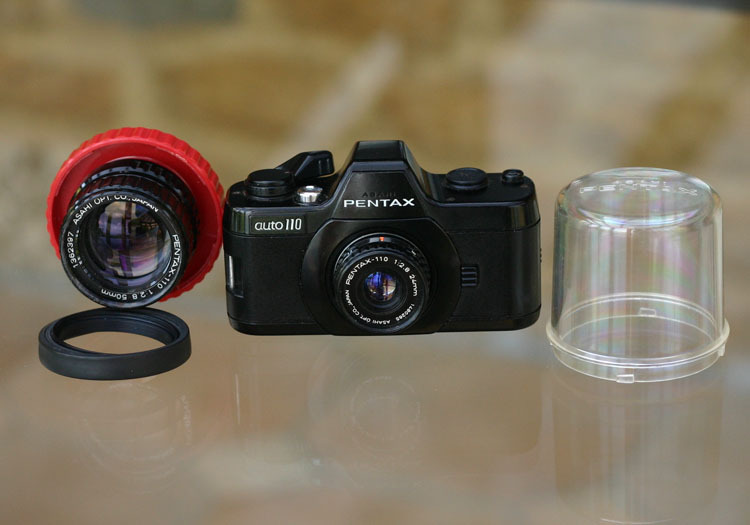 The 110 format uses a 24mm standard lens, and I also have the 50mm telephoto and 18mm wide for the system -- the 50mm is shown here attached to its plastic keeper, which the transparent dome on the right clips into to keep it safe. Page last updated 28th October, 2007.